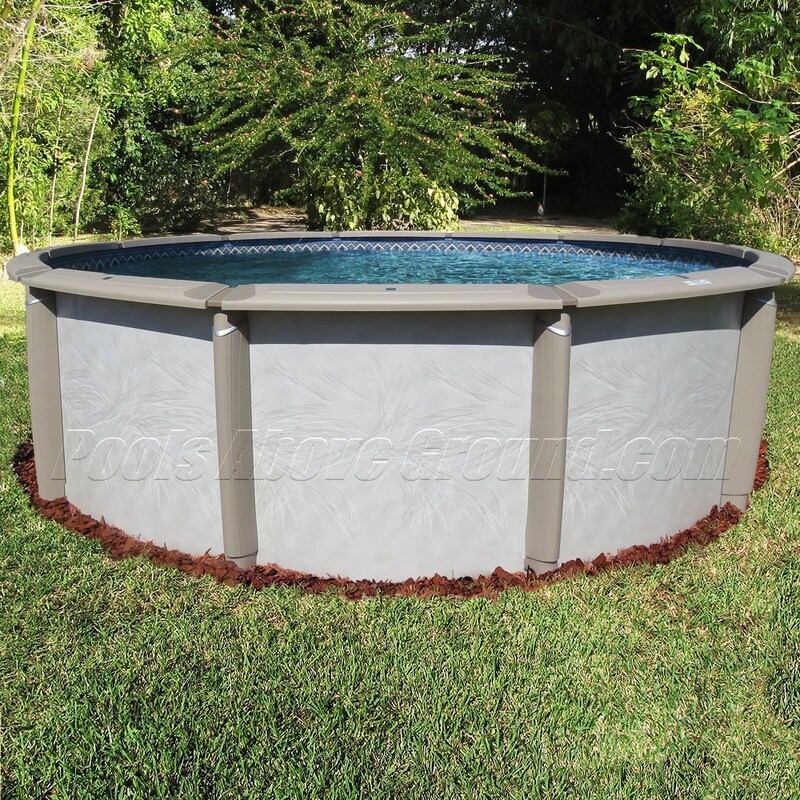 This pool is our selection for the best resin or saltwater pool for Orlando again. 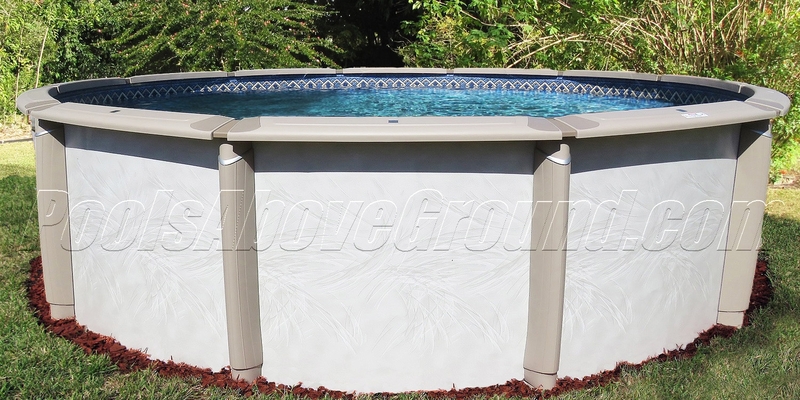 The bottom line is you can’t go wrong with this model, it’s a great looking pool that’s easy to assemble. The reasons you want this one are numerous so I’ll list them off. 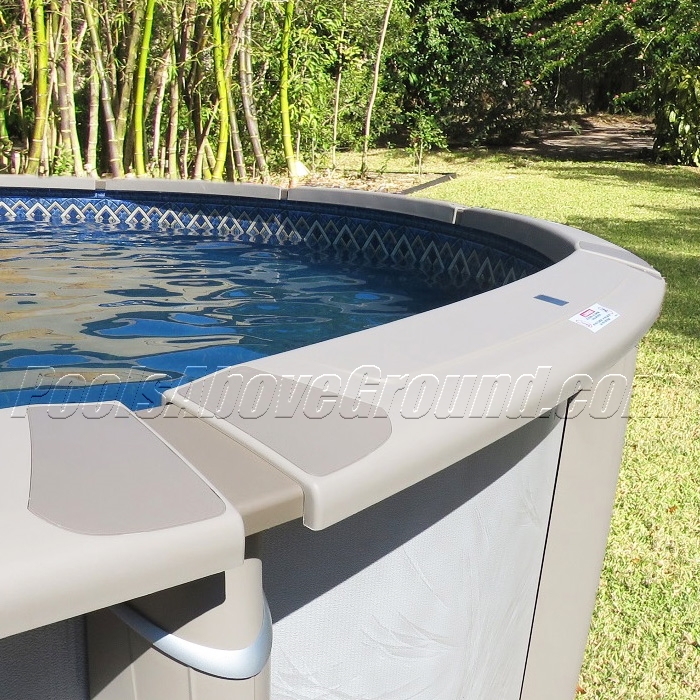 First, being made by American pool maker Wilbar means American quality materials and construction. Wilbar pools like this model will last decades, making it likely the last pool you’ll ever buy. Aside from that Caspian has beautiful curved resin top ledges, stylish resin upright posts. This attractive styling is only possible with solid injection models resin parts. The resin parts means no rust ever because these parts have no metal used in their construction. In fact the frame rails, upper stabilizer bars, top and bottom plates are also made from solid resin. With this much resin the Caspian’s only metal part are the pool wall. 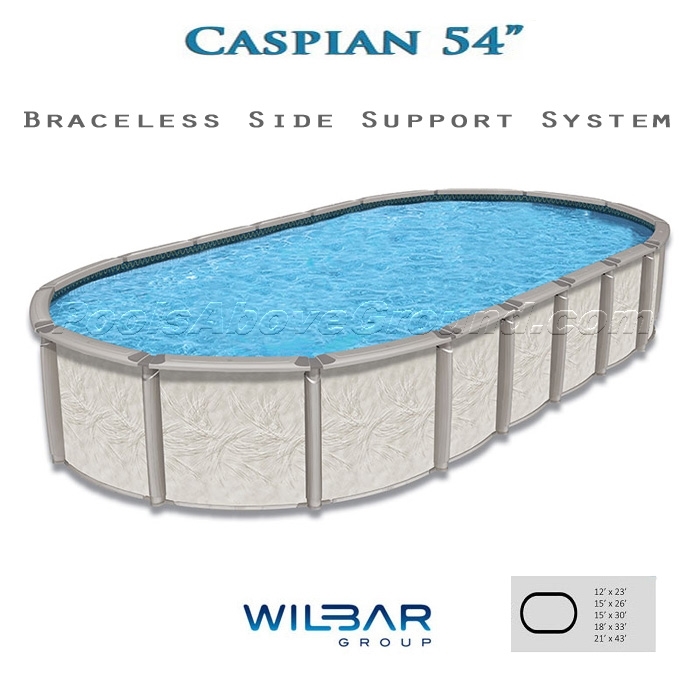 Stainless Steel –Caspian uses a stainless steel wall section where the skimmer and return openings are located in the pool wall. Because this area of the pool is the most common area for rust to take hold, making this wall section from stainless steel ensures the skimmer and return jet openings will never corrode. This is a huge upgrade from the standard steel wall pools. 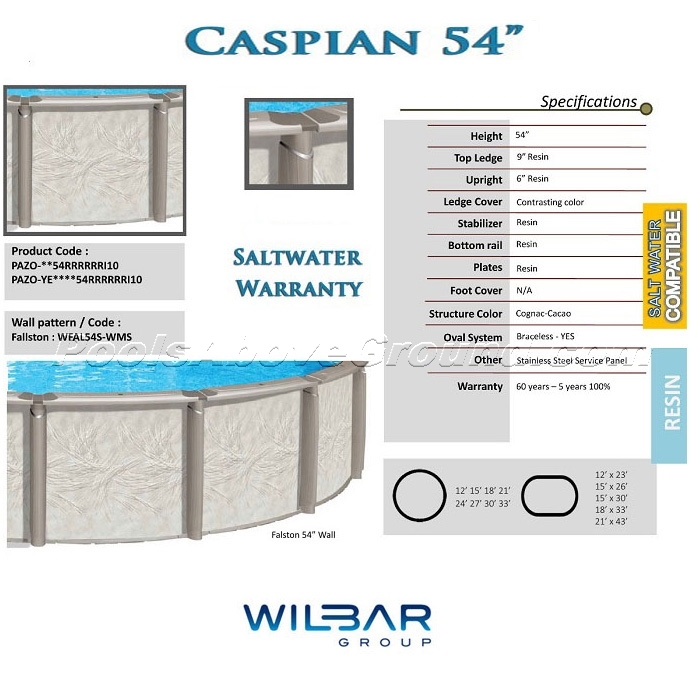 Saltwater Pools – Caspian is a great pool for the person thinking long term just based on the amount of resin used. 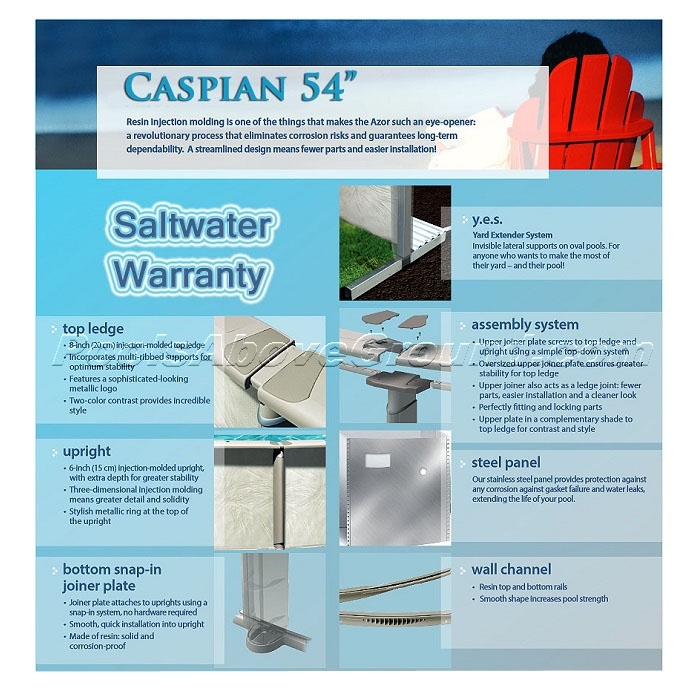 In addition the Caspian is warrantied for use with a salt system. Salt water systems for above ground pools are very popular and it takes a hearty pool to stand up to the demands salt pools put on materials. 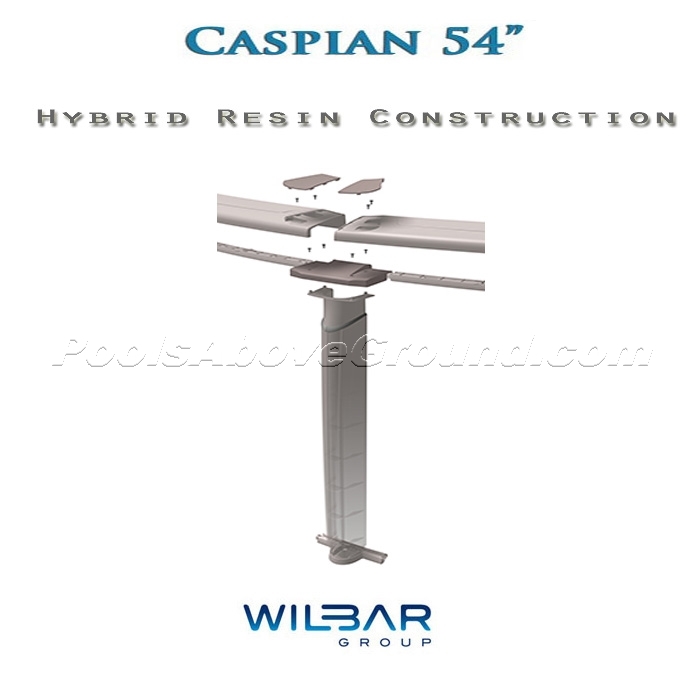 Resin components everywhere and stainless steel wall panel ensures Caspian lives up to it’s billing as “top of the line”. 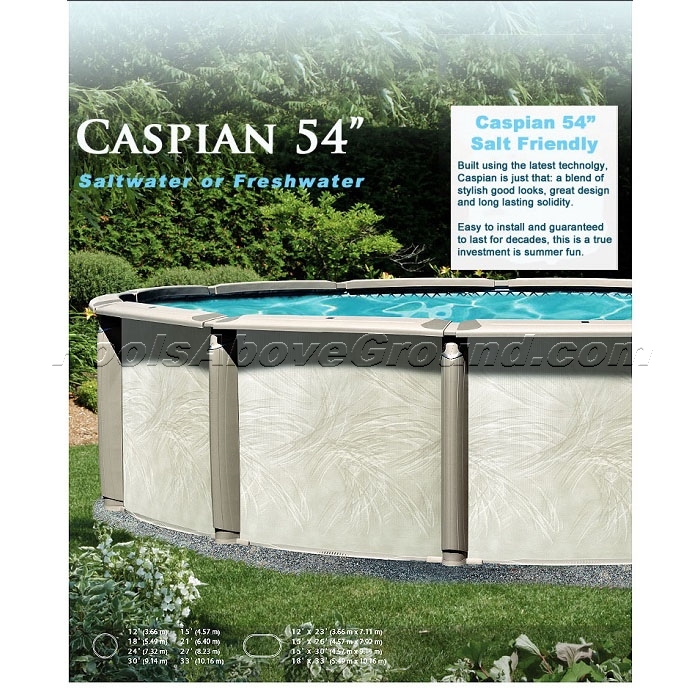 Caspian can be used with salt, chlorine or other sanitizing systems. 54″ high steel wall with Resin Shield coating for damage and corrosion resistance. 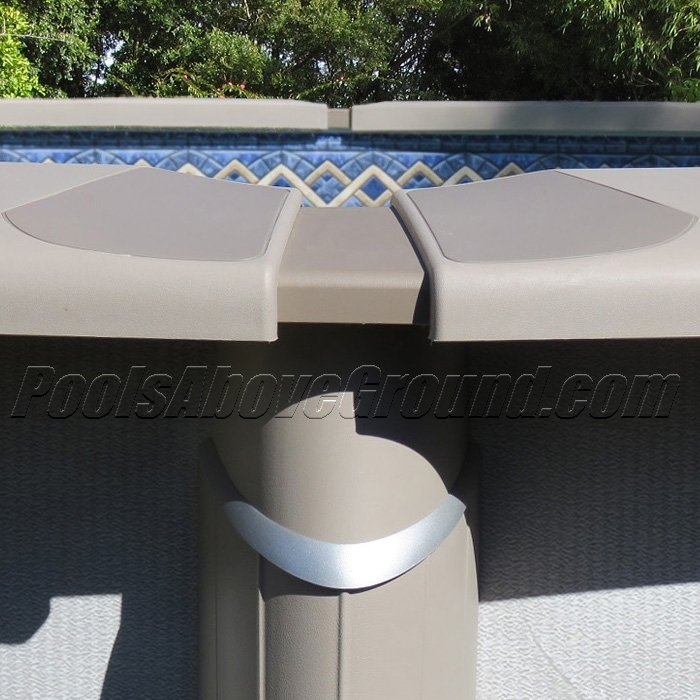 Strong 8″ wide injection molded resin ledges and SynproTM resin top ledge covers. Beautiful Pearl wall color goes with practically any decor.